Along with Holland America, Cunard is the most history-rich cruise line afloat. Its origins go back to 1840 when Sir Samuel Cunard ran the first regular steamship service between Europe and North America. Fast forward 170-plus years and Cunard is a successful cruise ship company, and one owned by the Carnival Corporation since 1998. That seemingly weird partnership has worked well, fueling a building spree that led to three new vessels for Cunard since 2004. Queen Mary 2, Queen Victoria and Queen Elizabeth are feats of modern technology while at the same time, their décor and vibe are infused with plenty of old-worldliness, from art and antiques to deco ball rooms and old-fashioned multi-class segregation of passengers according to their level of cabin accommodations. Passengers are assigned to one of the three reserved-seating restaurants according to the cabin category they’ve booked: Suite-and-above passengers dine in the Queens or Princess Grills, while everyone else eats in the grand and sweeping Brittania Restaurant, the only one of the three with an early and a late seating. All serve tasty continental fare, from fowl and steaks to seafood, pasta and lighter spa fare, with the Grills restaurants also offering the option of diners making whatever special meal requests they desire. Other diner venues include the intimate Todd English restaurant aboard the QM2 and Queen Victoria, offering delicious and rich meals, while there’s also a sprawling casual buffet restaurant aboard all three offering everything from carved meats to pizza and Asian dishes. There are also burgers and hot dogs up on deck and of course a traditional afternoon tea is served daily and accompanied by a string quartet. The magnificent Queen's Room aboard Queen Mary 2 is the largest ballroom at sea. Photo courtesy of Cunard. 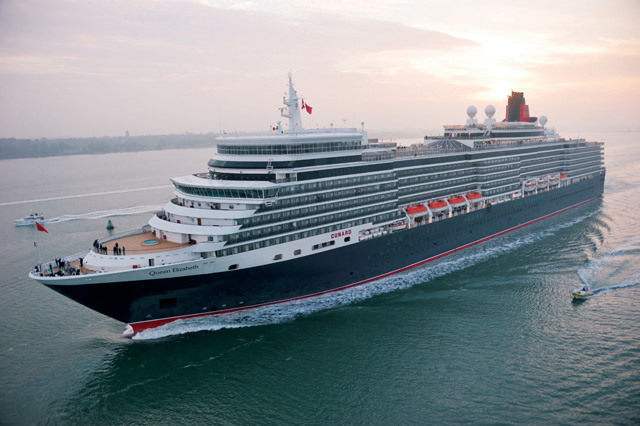 The Cunard trio is big enough to offer plenty of entertainment options, from plays featuring graduates of Britain’s Royal Academy of Dramatic Art (on QM2) to standard song-and-dance revues, various kinds of live music and ballroom dancing as well. 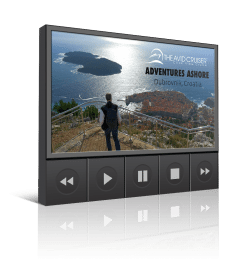 By day, besides cruise ship standards ala wine tastings, bingo and bridge, the Cunard Insights extensive lecture and workshop offerings are on par with what Crystal Cruises offers. Professors, authors, celebrities and other learned people speak about all kinds of things from ocean-liner history to music, architecture, science tops and so much more. 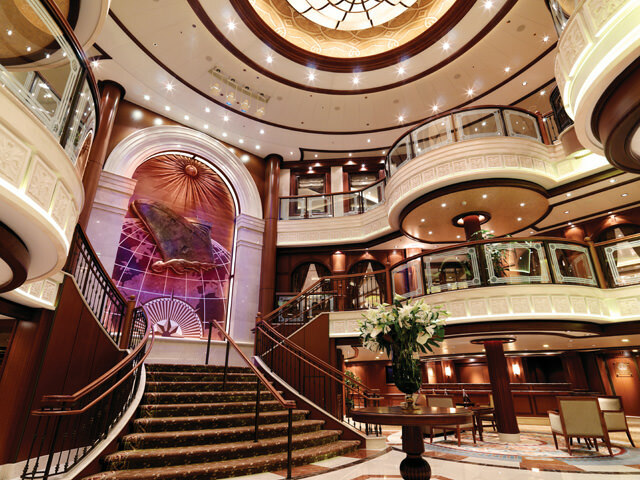 The multi-story Library aboard Cunard's Queen Elizabeth is one of the finest at sea. Photo courtesy of Cunard. The design of Cunard's ships represents a modern take on the glorious ocean liners of days past. Photo courtesy of Cunard. Surprisingly to many, Cunard’s three ships offer quite impressive kids facilities, particularly QM2. 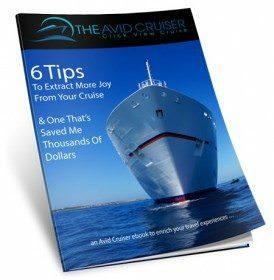 While the typical crowd is a well-traveled international mix of 50-somethings on up (heavy on the British and American clientele), summer and holiday cruises and crossings see lots of families too. The bright, cheery and well-stocked playroom and its supervised drop-off programming cater to kids from age one (*minimum age will move up to age 2 starting in 2012) through age 12, with teens offered plenty of activities around the ships too. A mix of certified British nannies as well as other qualified activity counselors run the fun and games, and better yet, the whole thing is complimentary right up until midnight. The ships also have an outdoor play area just outside the playroom, along with a wading pool and a regular pool. Ocean Liner Enthusiasts. Cunard Line’s ocean liners reflect the Golden Age of Ocean Travel and provide opportunities for modern-day travelers to relive a bygone era at sea. Transatlantic Voyagers. 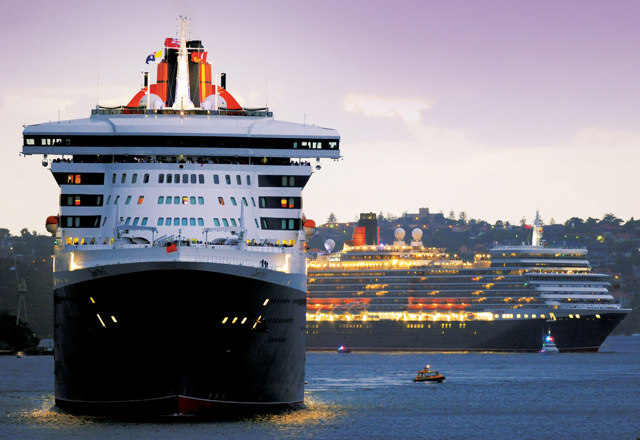 Cunard is the only cruise company that offers regular transatlantic crossings. Sailing six days between New York and Southampton, Cunard liners offer travelers opportunities to experience the legacy that began nearly two centuries ago. Anglophiles. With British officers, a largely British staff and such British icons at the Golden Lion Pub on board its ships, a Cunard cruise evokes a British atmosphere. World cruisers. Cunard Line continues the tradition of around-the-world cruises, which it pioneered in 1922 with the first-ever world cruise aboard the Laconia. All meals, except for dining in the optional reservations-only Todd English restaurant (US$20 for lunch and US$30 for dinner per guest). Round-the-clock room service is complimentary. Entertainment, including Broadway-style shows and ballroom dancing in the elegant Queens Room. A Nanny. Cunard Line’s children’s program is designed for children ages 1 -17. Certified British nannies will change diapers, bottle feed and interact with kids.